What's better than pureed fish made into a cake? Not much, I say. 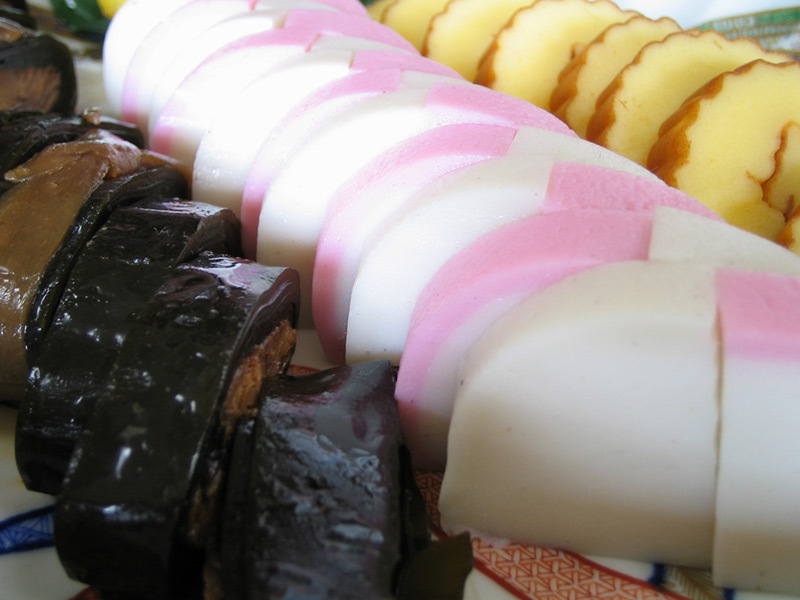 Kamaboko is exactly that, a traditional type of fish cake that is closely connected to Japanese celebrations, though slightly less now following the arrival of the Western cake. I took a trip to a kamaboko museum with Shoko, who wrote a great travel piece about it. Let's learn about this traditional Japanese dish, so that you can better understand it when you visit the museum. 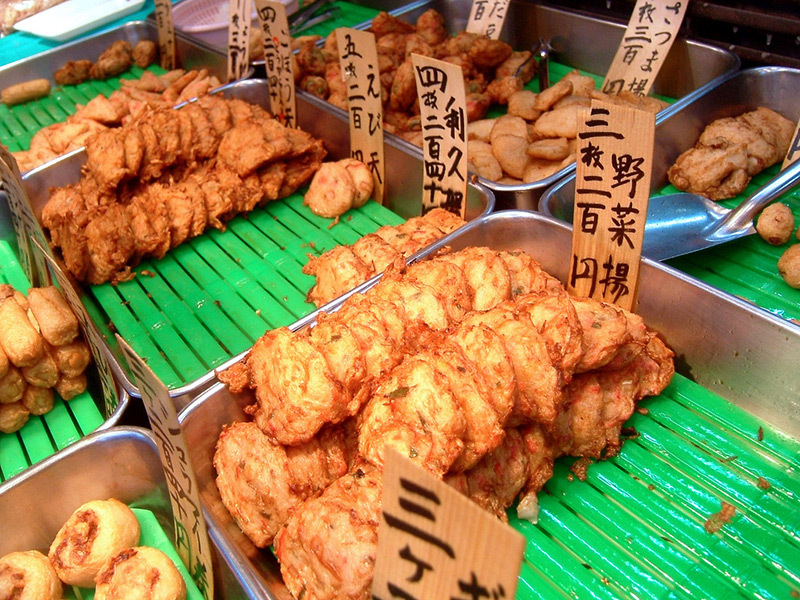 Kamaboko is a variety of Japanese fish cake. It's made from the meat of several kinds of fresh fish or reprocessed pureed white fish called surimi. It's actually not all that hard to make, either. Fresh fish is mashed into a paste, some seasoning is added, and then it is formed and cooked. It's usually formed into a loaf-like shape, and then steamed on wooden boards until fully cooked and firm. It can actually be formed into many other shapes and sizes as well, and can also be cooked by boiling, broiling, or deep-frying it. It can be served chilled, in a noodle dish, in a hot soup (such as oden), or in a variety of other delicious ways. 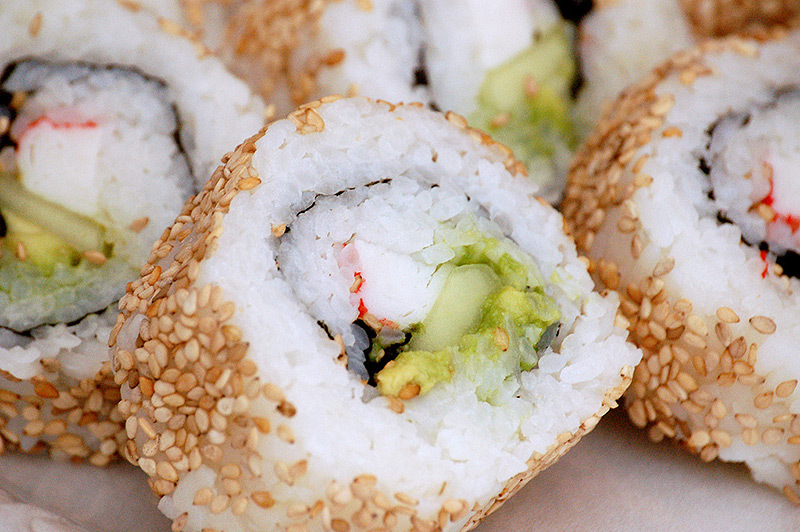 In fact, if you are familiar with fake crab meat, often used in "California Rolls", you may have had a type of this fish cake. This type is called kani-kama in Japan, which is an abbreviation of kani (crab) and kamaboko. Despite its delicious taste, it's full of health benefits as well. It contains very little fat, relatively large amounts of nutrients, and a very large amount of well-balanced proteins. 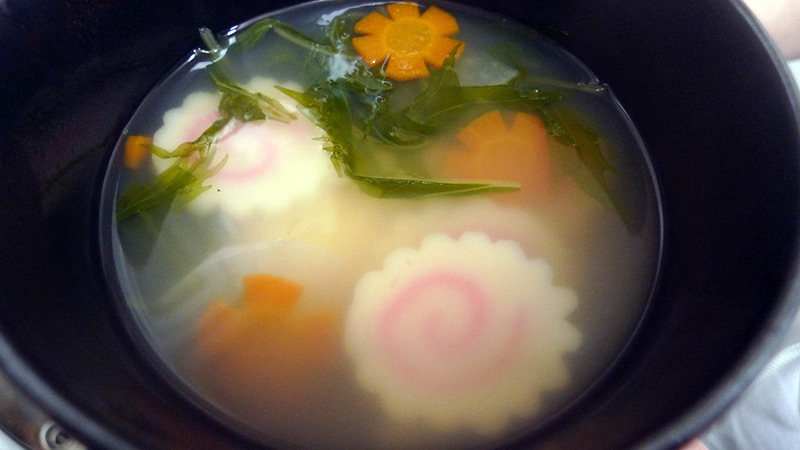 Kamaboko includes a well-balanced array of amino acids, including all nine essential amino acids. A study conducted by Tokyo University's Department of Food Science and Technology also found it to have anti-oxidative effects. It's unknown when exactly kamaboko was first made in history, but the first known record of it is in picture form found in a tome from the Heian period. With detailed sketches, the book, called ruijuu-zatsuyoushou 類聚雑要抄（るいじゅうざつようしょう）, primarily depicts the furnishings and costumes of nobility for traditional ceremonies and events. There is also an illustration of the fish cake placed on a bamboo skewer, which was served when fujiwaranotadazane) 藤原忠実（ふじわらのただざね）held a feast to celebrate his moving to a new house in 1115 AD. 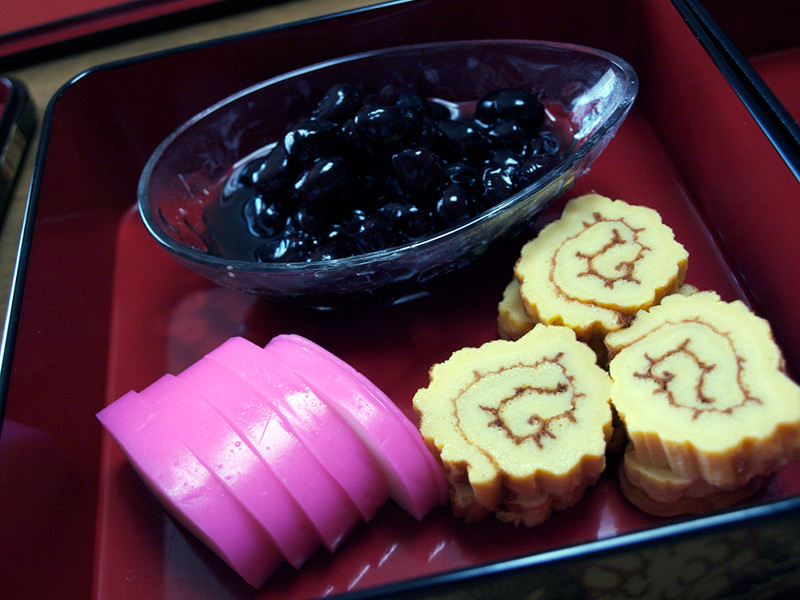 Discovering the year in which Fujiwara-no-tadazane moved into his new house gave Japan the idea for Kamaboko Day, which is now held on November 15. Get it? 1115AD = 11-15, November 15! As it's depicted in the book, early kamaboko was wrapped around the end of a bamboo stick. It's said the name became kamaboko 蒲鉾（かまぼこ）, which literally means cattail-spear, because the look of it is resembles the head of the cattail (plant), which is called gama 蒲（がま） in Japanese. Speaking of cats, the early iterations of the fish dish were made from freshwater catfish, whereas nowadays it's made from saltwater fish. The Edo period was when kamaboko on a cedar plank appeared. In order to distinguish the two types, people started calling the original tube-shaped variety chikuwakamaboko 竹輪蒲鉾（ちくわかまぼこ）, which literally means bamboo ring kamaboko. They called the loaf-shaped one itakamaboko 板蒲鉾（いたかまぼこ）, which literally means plank kamaboko. Eventually, the name kamaboko fell off from the chikuwa version and that tube-shaped one was simply called chikuwa, whereas the loaf-shaped one took the name kamaboko. 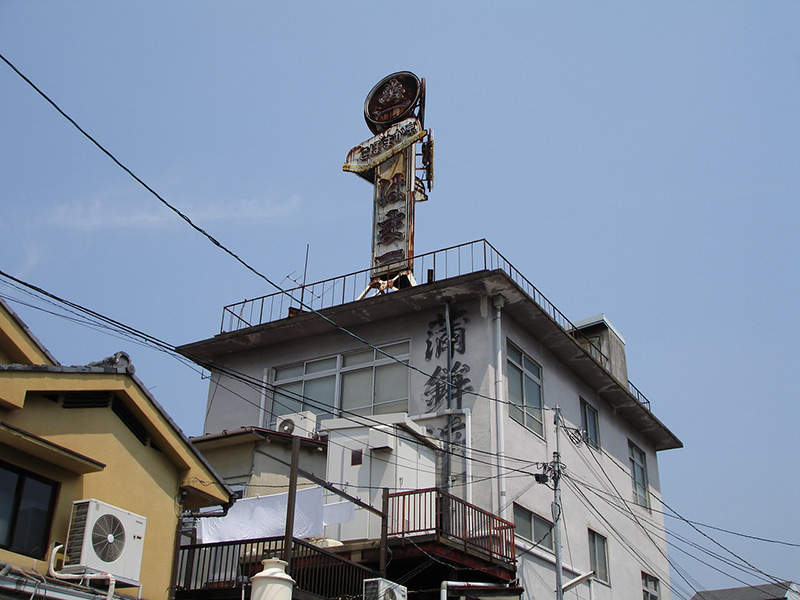 The oldest remaining kamaboko company in Japan is minoyakichibeeshouten 美濃屋吉兵衛商店（みのやきちべえしょうてん） and was established around 1550 AD. It is located near Odawara station in Kanagawa Prefecture. There were also some distinctive differences between the kamaboko from the Kansai area (Western Japan including Kyoto and Osaka) and the Kanto area (Eastern Japan including Tokyo). In Kanto, the fish cake was steamed. In Kansai, it was grilled after being steamed. It's believed that this difference arose because the main cities on Kansai (Kyoto and Osaka) were far from the sea, so they grilled it for preservation purposes. A well known saying"edohamushi 江戸は蒸し（えどはむし） 、keihanhayaki 京坂は焼き（けいはんはやき）", meaning "Edo (now Tokyo) is steamed and Keihan (Kyoto and Osaka) is grilled" found its origins as a result of this difference. This phrase characterizes the stereotypical cooking styles of the two regions still practiced today. Kamaboko isn't the only dish that follows that cooking trend – check out the regional differences in these products' eels. In the early days of kamaboko history, white fish was very expensive and the fish cake dish was considered a feast. Thus, it was used as a special gift or the type of food served at celebratory feasts. It is said that kamaboko was the favorite food of toyotomihideyori 豊臣秀頼（とよとみひでより）, who was the son and designated successor of toyotomihideyoshi 豊臣秀吉（とよとみひでよし）, the general who first united all of Japan. It was also served as the final meal ofOda Nobunaga 織田信長（おだのぶなが）, one of the three unifiers of pre-modern Japan, before he was killed by the Honnoujinohen 本能寺の変（ほんおうじのへん）(the Honnō-ji Incident) in 1582. In Samurai custom, the sea bream was considered as a bringer of good luck because it had a beautiful red color, which was thought to be a lucky color. Sea Bream was rare, had elegant taste, and its name tai 鯛（たい） was a play on the word medetai めでたい（）, which means happy or joyous. Therefore, the sea bream became essential for wedding celebrations, but only to those who could afford it. 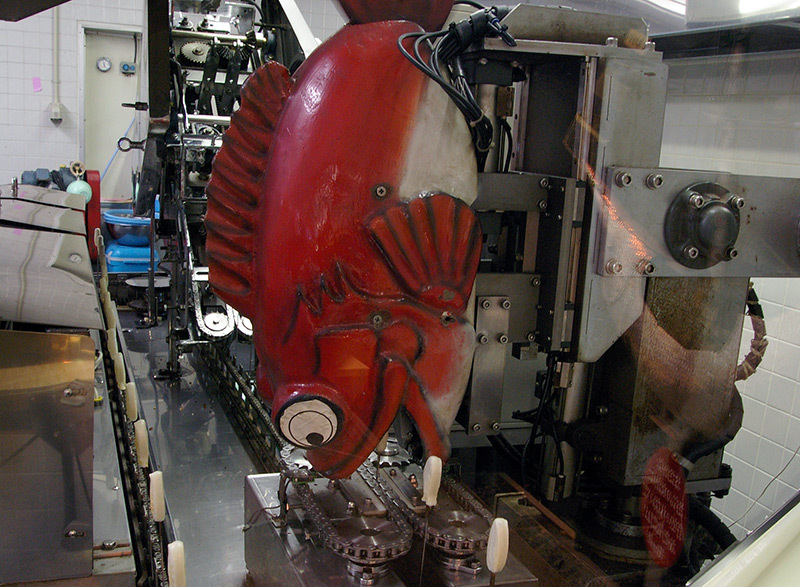 When a real fish was too expensive to buy, a picture or an imitation fish would be substituted in its place, and saikukamaboko 細工蒲鉾（さいくかまぼこ）or kazarikamaboko 飾り蒲鉾（かざりかまぼこ）, which means decorative kamaboko, was used for this. This custom can still be seen in several places throughout Japan. For example, in Toyama prefecture, people who are invited to join the wedding ceremony are given a big, decorative fish cake shaped like a sea bream, a crane, a tortoise (a symbol of longevity) or Mt. Fuji. Then, when they return home, they cut it up and hand it out to their neighbors to inform them of the marriage. If it's in the shape of a sea bream, a family gives away the head and body parts and keeps the tail as their own. 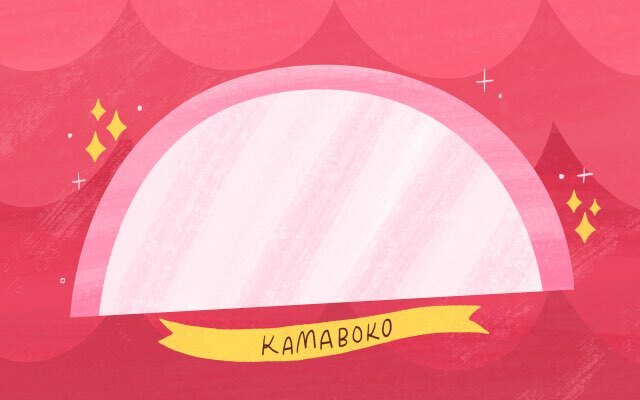 Due to kamaboko's large role in Japanese culture, there are various words in the Japanese language that are derived from it. For example, we say kamabokogata 蒲鉾型（かまぼこがた）or "kamaboko-shaped", to describe anything that is D-shaped. The arch-like barracks in military garrisons are sometimes called kamabokoheisha 蒲鉾兵舎（かまぼこへいしゃ）, which means Kamaboko barracks, as well. We also call the security vehicles of riot police Kamaboko because the style of the original riot police vehicles were similarly shaped. When you go bowling, if the oil used to make the lane more slippery is too thick in the middle and thin on the sides, it's called kamabokogatareen 蒲鉾型レーン（かまぼこがたれーん）, which means kamaboko-shaped lane. Or, there is the word kamatoto かまとと（）, which means a girl who pretends to be sweet and innocent. This word was made up for this type of woman, especially a prostitute in from the Edo period, who would ask questions like, "Is this fish?" (fish is toto in old Japanese / sakana in current Japanese) while pointing at kamaboko and thus pretending that she knew nothing about the world. 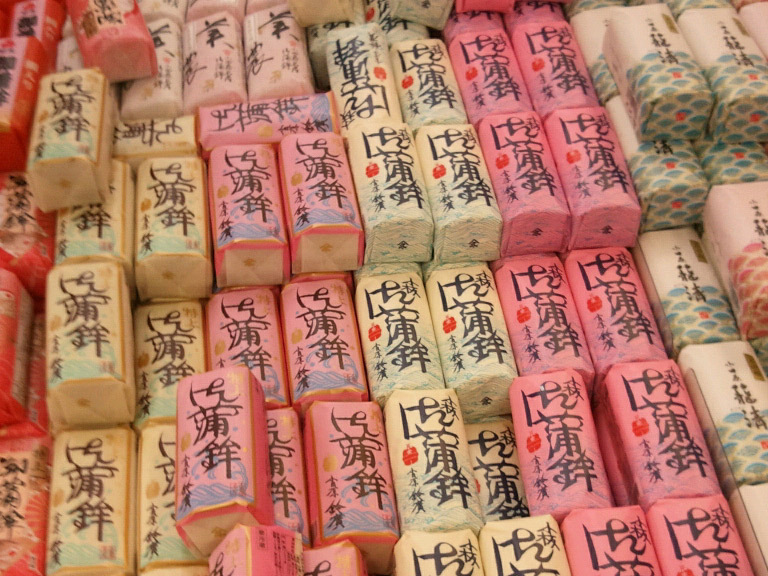 In the world of sumo, escaping from practice was also called kamaboko. Imagine a sumo wrestler trying to sneak out of camp, and while trying to avoid being seen, needing to put his back up against a wall – this conjured images of kamaboko on a cedar plank. The Suzuhiro Museum we visited explained that the thickness and the temperature of kamaboko are important for getting the maximum taste out of it. When you eat it by itself, 12mm of thickness is ideal for enjoying the texture and flavor of the fish. When you want to use it as an ingredient, but still want a bit of its texture, you can thinly slice it. For example, if you slice it to 3mm, it can be a substitute for BACON! If you want to retain a lot of its flavor, cut it to around 15mm thick and add it to salad or other dishes. The other important factor is temperature. Since it contains a lot of proteins, which can easily be denatured by heat, when you heat the fish cake in the wrong way it loses its nice texture and becomes quite hard. So, eating it at a cool temperature is the best, but if you really want to heat it, just heat up its surface at high heat very quickly and make sure the heat doesn't make its way to the center of the kamaboko. 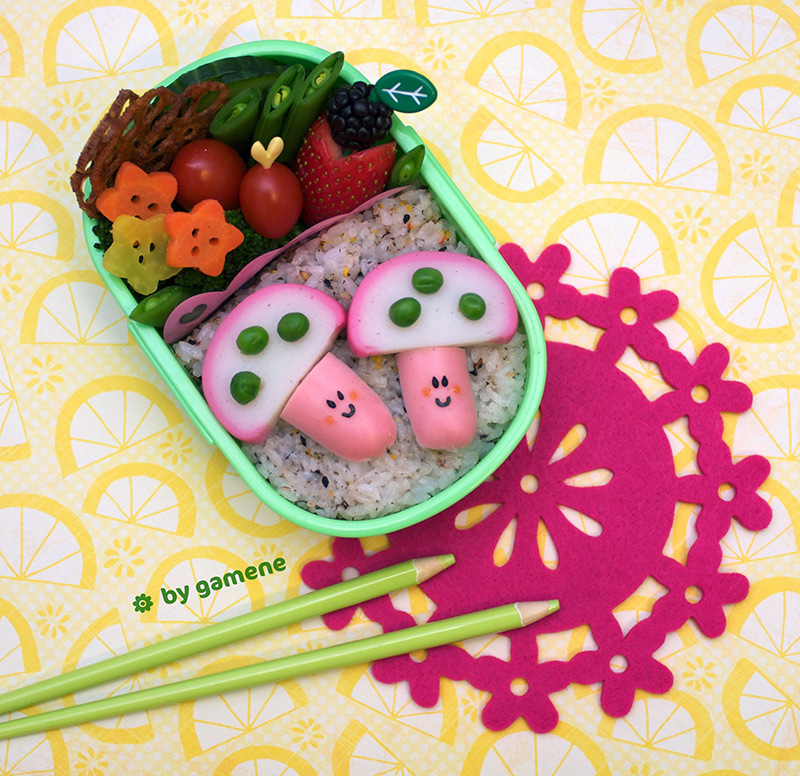 There is lot more to learn, especially in kamaboko's ability to decorate food, but I'll save that for the next time because this post is making me hungry. I'm off to find my own fish cake for dinner.